Join us and have your say on Highgate’s future! Maggy, we hear you already have quite a few people on your mailing list, but probably there are still a lot of people in Highgate who don’t know the Neighbourhood Forum well enough. What is it that you actually do? 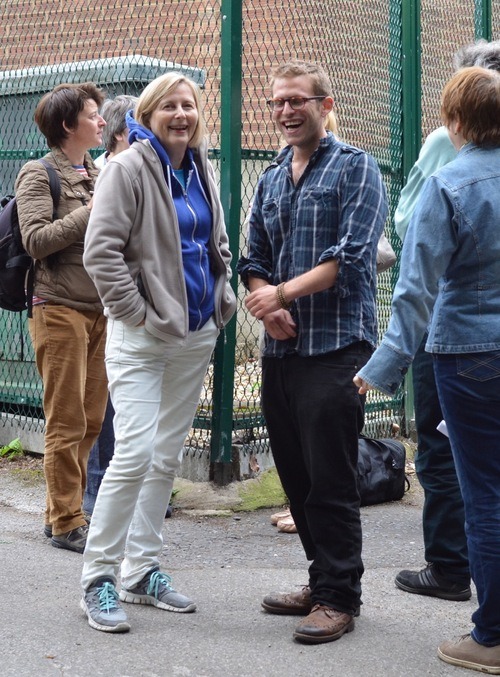 Yes, we already have 500 residents on our mailing list – being able to reach out to these locals helps us to organise our activities in and for Highgate. But of course we are here for all 18,000 people living in Highgate, so we are constantly working on expanding our network. Our key ’raison d’être’ is to develop a Local Neighbourhood Plan – and at its heart will be the planning policies that will govern planning decisions in Highgate for many years to come. It will cover everything from proposed development sites and encouraging smaller, more affordable housing units to detailed regulations on basement developments, shopfronts and preserving important views. Alongside the planning document, we will publish an Action Plan that will list all the projects and campaigns the Highgate Neighbourhood Forum intends to pursue, so whoever has some interest in local planning should really get in touch. 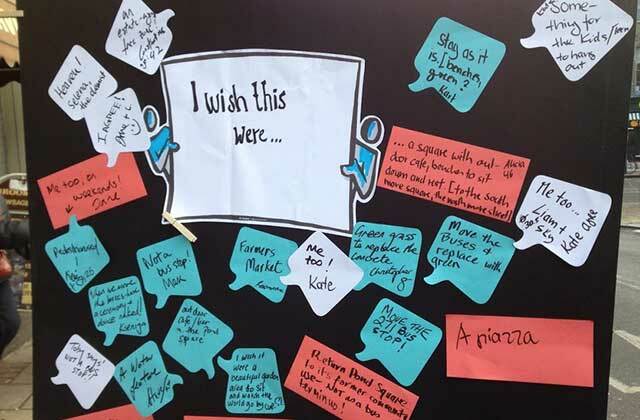 And beyond all the planning-related topics, the Neighbourhood Forum is, as the name suggests, a great place to meet neighbours, reach out to the local community and get involved with quite a variety of local issues. We are the local community organisation for Highgate, bringing all the great local initiatives and organisations together, and we are lucky to have such strong local backing. The Forum has been around for two years now, can you tell us a bit about its early days? We created our Neighbourhood Forum to make use of the new opportunities given to local communities by the Localism Act. The idea of the Act is quite simply to hand over some power from the councils to local communities, e.g. to create local neighbourhood plans for planning purposes. In Highgate, we were first alerted to the Localism Act when it was still discussed as a Bill, and we noticed that it wouldn’t allow for neighbourhood plans to be created across borough boundaries – which would have been quite a big issue for Highgate, stretching across Camden and Haringey. So we lobbied for an amendment to the Bill – and we succeeded. Then of course we were really keen on getting started with setting up the Forum. Any early success so far? Firstly we are very happy to have our Neighbourhood Plan almost ready for the Consultation Phase. That is a big achievement for a local community organisation like ours and we’re really quite excited about it. Secondly, the biggest achievement so far has probably been that Highgate is now on the agenda for both the Camden and Haringey Council and also TFL. There is a lot of visibility for Highgate right now, and they all really involve us in many of their decisions. Good examples are the very positive response by TFL to our suggested use of the old Highgate overground station as a knowledge hub, the all-green traffic light phase for pedestrians outside Highate station and also the fact that Haringey has included our ideas in their latest Site Allocations Document – we were the only local forum making suggestions, all other ideas came from the council or developers. So what are the next big things on your agenda? We’re really excited to see both our Neighbourhood Plan and the Action Plan going into consultation this year. As a next step, the Neighbourhood Plan will then go to an Independent Examiner appointed by Camden and Haringey Councils. If the plan complies with the Councils’ Local Plans, the London Plan and the National Planning Framework, the Councils will conduct their own Consultation and then organise a referendum on the Plan of all those on the electoral register of our area. Our bigger live campaigns involve the Highgate Bowl – which we want to preserve from being used for the construction of new mansions; the 271 Bus Terminus – which we want to remove from its current location and instead develop a marketplace to augment the retail offer in the High Street; and thirdly Archway Road – where our main objectives are to strengthen local business and make it less polluted, for example we’re currently in discussion with TFL and Haringey for extensive tree planting and potentially making it a 20mph zone. How can we get involved, who should we contact if we are interested? Secondly, come to one of our meetings. For example we have our next brainstorming meeting for our Action Plan on 5 April, 2014, 2.30 pm to 4.30 pm at 10A South Grove. The next big thing is then the consultation phase for our plan, later this year – it would be great to have some more volunteers to help us staff our stalls on Saturday mornings and to hand out our leaflets in pubs and coffee shops. And, more generally, we always appreciate people coming to us with new ideas. We’re really open to any suggestions relating to Highgate. So join us and have your say on Highgate’s future! As a resident of summersby road I was recently given the shock of receiving the news that under plan key area 4 the estate seems to have been included in possible future plans for redevelopment. Apart from an ambiguous letter from Haringey council stating that summersby road may or may not be included, all other information has been kindly provided by one of my neighbours, notably the red ring fence around the estate. As I have just completed the purchase of my flat under the right to by scheme along with a new 125 yr lease I am extremely concerned as to what may happen within the near future and can only urge the council to be more transparent with all future correspondence to all residents of summersby road regarding any development proposals and the mooted upgrade works.